Bob is so inspirational. He lives what he writes. He is a great example of a Christ follower who has embraced the love of Christ and shares it with others. 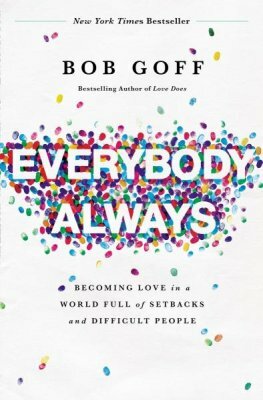 He tells big stories of how God has done amazing things, starting with small acts of love. He doesn’t brag, he just shares examples from his life where he has given love instead of anger, impatience, harshness, intolerance, and the like. His “day job” as a lawyer gives him position and platform to be in situations that many of us cannot, but we can still follow his example as we follow Jesus' leading in our own lives. We cannot underestimate our little acts of love to people we come in contact with. Bob is also a highly sought after speaker. Between these two jobs he finds himself on airplanes many days of the week. He once befriended and discipled a TSA agent 3-minutes at a time as he encountered him regularly at the airport. Bob and “Sweet Maria” (as he calls his wife) gave away their house to a widow. She became their closest family friend and then they helped her though cancer until she died. With God’s amazing power and intervention over the course of many years, Bob was able to help stop the evil practices of witch doctors in Uganda. His strategy in life is to love people, as Jesus instructed. He says, "If we want more faith we've got to do more stuff”. He is not preachy or academic. He is very conversational and down-to-earth. He says, If you know what it is you want, that will direct what you are doing today. Figure out who you are becoming, and let that inform who you are now. I highly recommend this book and/or audiobook for all teens and adults. You will be greatly inspired and challenged in your walk with the Lord. 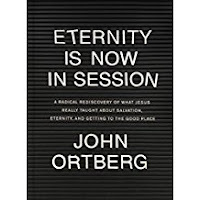 In his usual understandable and relatable style, John presents enlightening insights about what Jesus taught about salvation, eternity and heaven. I suggest that the eight-page introduction be used as an evangelistic training tool. So many people have the wrong idea of God, heaven, and eternal life. Christ followers should have the correct Good News message to share with others. You do not want to miss how John answers these questions: What if we stopped thinking about the gospel as simply the minimum entrance requirement to get into heaven? What if we stopped thinking about eternal life as something we can only experience after we die? What if we stopped thinking of Christians as people who “know about” God and instead focused on becoming disciples who are learning to “know” God? What if salvation isn’t mostly about getting us into heaven but about getting heaven into us? “A Mountain is where heaven and earth come closest together. A mountain is where we go to see the earth around us from a new perspective. On a mountain we are elevated above our normal way of seeing. Obstacles that normally loom large are seen much smaller than we thought ... On a mountain we receive the gift of vision... A mountain is the place of awakening to a reality that we often can’t see in the valley.” "Spiritual awakening begins with an experience of God, when we become aware of his presence." John explains how salvation is a journey, not a one-time event. "Salvation is never just salvation from. 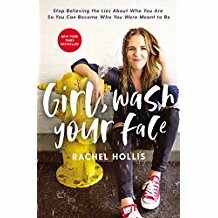 It is always also salvation for.” "Our greatest need is not to be saved from what might happen tous but to be saved from what might happen inus; not from where we might end up but from who we might become.” He writes about what it means to be a disciple and that discipleship is a whole-life endeavor. "Participation is the essential ingredient in Christianity." I recommend this book to all Christ followers and those seeking to know more about Jesus, salvation, and heaven.